Yes, I’m fed up and disillusioned, and pretty excited about it! You might think this is a bad thing, but it is actually what the Buddha taught about Nibbida. You see that Pali word means disenchantment, aversion, disgust and weariness. But it also means the skillful turning-away of the mind from the condition of samsara, to an awakened state of being. So I see that when I am feeling down on myself and feel as though I am failing on my path, I am in fact getting a little closer to enlightenment. This vicious cycle of happy/sad, up/down, excited/depressed, does serve a very important purpose. 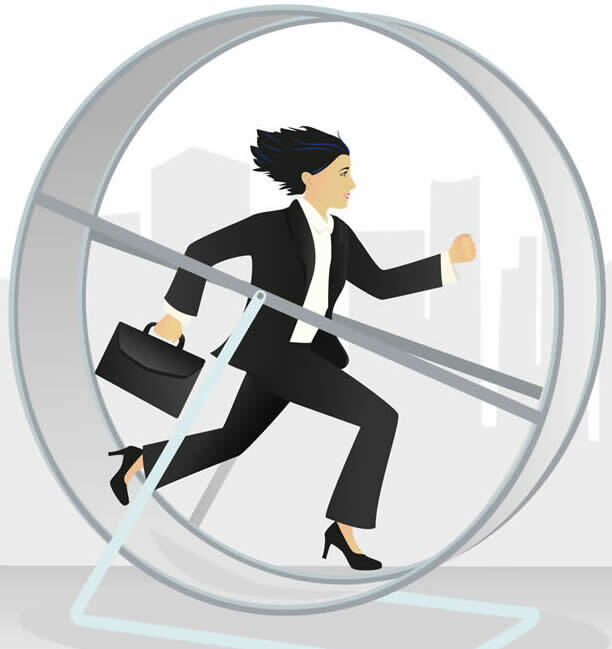 We all can choose whether or not we wish to keep peddling on this wheel like some sort of hamster in a cage, or finally get fed up and get off of the wheel. Now this is not to say that I am on the brink of Nibbana, although who knows, I could be. But it is to say that the lesson is in the experience. Being open to the experience. I think this ties-in to what Bhante Sujatha teaches when he says “smile to the suffering”. Suffering is a wonderful experience and opportunity. We only need to see clearly enough to understand and accept this. I was speaking to a dearly loved friend yesterday, who was apologizing for being busy and not coming to visit. I told him, “that’s OK, I am happy to see you and I am happy to not see you!”. Fortunately, he is a very good Buddhist and thought that this was a wonderful thing to say to him. But I have to wonder if I could say this to anyone and have them appreciate it. What would you think if I said it to you? Are you open to the experience regardless of how things go? So my point here is really that we can each benefit from all experiences. And don’t get down on yourself if you feel frustrated or disappointed in yourself. Smile, you are learning a wonderful lesson. And this is really the only way to ever get off the wheel!